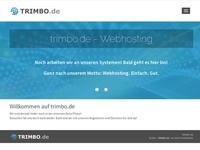 trimbo.de is a promotional / Paid4 network. User can have many different options and functions used to money and Klammlose earn. In addition, Free advertising are made with a traffic exchange, banner, text link and mail exchange. Many other extras to improve the offer! You will receive ? 0.50 per free registration at our shop as soon as the user logs in for the first time in our system and min. 48 std. is active.